A skatepark is a purpose-built recreational environment made for skateboarding, BMX, scooter, and aggressive inline skating. 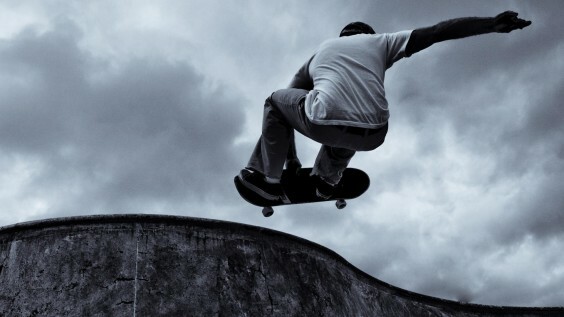 A skatepark may contain half-pipes, quarter pipes, spine transfers, handrails, funboxes, vert ramps, pyramids, banked ramps, full pipes, pools, bowls, snake runs, stairsets, and any number of other objects. The Woodlands is no stranger when it comes to parks and recreation. One way of meeting new people, be creative and be active is through skating and there are many skateparks in the woodlands for all the young ones to enjoy. Unless you’re a natural skate genius, skating certainly teaches persistence. You simply can’t do new stuff first try, you have to keep trying, keep getting up, keep shaking off ankle tweaks, elbow scrapes and shin-bruises and just make the new move happen through sheer stubbornness. It also reinforces the idea of commitment. You soon learn that tricks don’t happen by accident, you can’t just sort of fling it out there and hope for the best, you have to actually make it happen. 3383 South Panther Creek Dr.
5001 West Alden Bridge Dr.